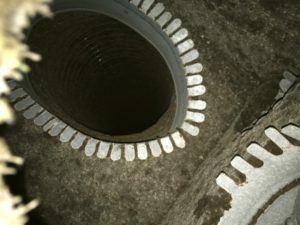 If the inside of your duct work looks like this. It will need to be replaced. There is no way to clean this much mold off of fiberglass insulated duct board. This is tragic because those who get sick have no control over their sickness because their bodies have a genetic pre-disposition to mold illness. It is important that you, as a restorer, understand the real impact mold may be having on your customers so you can address the needs of and better care for mold-sensitized individuals. 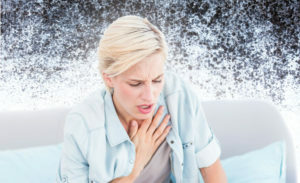 In the 1980s, the World Health Organization coined the term “Sick Building Syndrome” which was believed to be caused by poor indoor air quality from water damage. According to Erik Johnson, a mold expert and survivor, it was not until the 1990s that WHO acknowledged “Sick Building Syndrome” could be caused by toxic mold. Today, the medical community is beginning to acknowledge the health impact of water-damaged buildings. This recognition was made very public in 2015 with the release of the MOLDY documentary, featuring health professionals and people who have suffered mental and physical health issues after moving into moldy houses. In November of 2015, Michael Pinto, CEO of Wonder Makers Environmental, spoke about 13 Future Trends in the Restoration industry. This later became the cover story of the January 2016 issue of R&R, and the list gets an update in this issue. One of his noted trends was a tighter connection between medicine and the environment. Pinto cites new diagnosing techniques to identify the illness, Chronic Inflammatory Response Syndrome (CIRS), which legitimizes the tie between Water Damaged Buildings (WDB) and sickness. He also cited research that has identified a genetic component to this condition, a screening test (VCS), and most importantly, a treatment regimen. One physician documented the health symptoms of 227 patients who lived in water-damaged buildings during a three-year period. The doctor found 98 percent of his patients had one of the gene types where their immune systems were not able to effectively deal with contaminants from water-damaged buildings. That research is significant because it demonstrates that up to 25 percent of the population is genetically predisposed to be more susceptible to mold illness and the condition known as CIRS. For 75 percent of the population, when exposed to biotoxins caused by mold, the individual’s immune system responds by binding with the invading poison, allowing its cells to filter the biotoxins through the liver, kidneys, and other organs. In contrast, 25 percent of the population with the genetic susceptibility to mold illness get sick because the immune system does not bind to the biotoxin, meaning it is not eliminated and therefore continues to circulate, causing the many symptoms. The major problem individuals with CIRS face is their body’s immune system becomes severely compromised and weakened from the vicious cycle of invading poison, immune response, and inflammation. In the end, many have damaged immune systems, leading to a wide range of health conditions, some life-threatening. For others, CIRS may simply manifest in asthma or chronic sinusitis. Many mold survivors have abandoned the primary residence that initially made them sick, seeking shelter in very dry areas, with dessert-like conditions, where moisture is limited. These drastic measures were taken by these individuals because their bodies have become so sensitized to mold that even minor exposure triggers severe reactions. 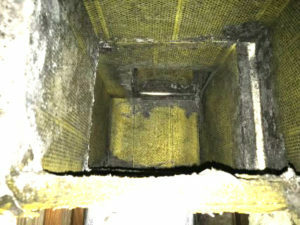 One of the goals of this article is to explain why some of your customers are sick from mold and other’s are not. Now you know the answer: 25 percent of the population has a genetic predisposition to mold illness and may suffer from CIRS. Now, when you meet with a prospective client who has health issues that could possibly be caused by mold, ask them how many of the 37 symptoms of CIRS they have. If you suspect they have CIRS, you can suggest they talk to their doctor about it. Beyond that, your most important job is to properly remove the mold in their home. It is no longer just a matter of dealing with mold in just one part of the home. You need to understand the big picture, meaning you need to work on a plan that addresses spore deposition throughout the home and also understand the HVAC system could be contaminated. There is a need for contractors who understand the needs of individuals affected by mold. With up to 25 percent of the population genetically predisposed to mold illness, contractors should begin preparing to serve this market demand. How prepared are you? Sanjay Gupta has been researching and writing about mold, asbestos and IAQ issues since 2011 and has written more than 300 articles with the goal of educating consumers. Today, he owns a digital marketing agency, Restoration Digital Marketing Solutions, that manages the online marketing for many restoration contractors. In addition, he recently joined the team at Your Restoration Coach as a Consultant, is the Marketing Director of Wonder Makers Environmental, and the Director of Business Development for American Mold Products.